When she walked, history walked with her. With every step she took, she moved one step further away from the Dust Bowl. Stories she told me of her youth were tinged with beauty and sorrow. She had Oklahoma roots and got married at the heart of The Great Depression. A few months after her husband died in the early 1980's, I moved onto her street. What had brought my family to this small New Mexico town was an oil boom, it was probably something similar that had brought her family there in the 1940's. 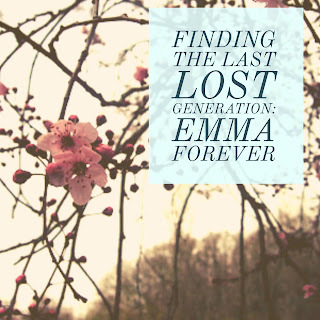 Her name was Emma and she was all that was good about the last Lost Generation. The photo of her as a young woman on an Art Deco dresser celebrated her flapper-style hair - a symbol of the Gilded Age. 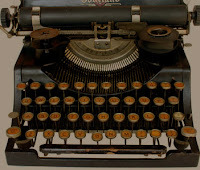 She had a turn-of-the-century typewriter with yellowed keys that I'd softly touch in order not to break them. She had a classic phonograph with a stack of records neatly stacked inside brown paper envelopes. I would lift the lid to peak inside, imagining the ragtime, jazz, and all of the roaring '20s that would've emerged from it. When I'd come over, my 1980's bright pink school bag would lay against her tired blue 1940's couch. I'd set down my Houghton Mifflin readers on her Mid-Century end tables, stacked with piles of 1970's Reader's Digest magazines. 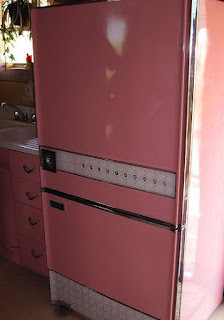 She had collected furniture from the 1920's through the 1950's until the year came when the house was fully furnished. 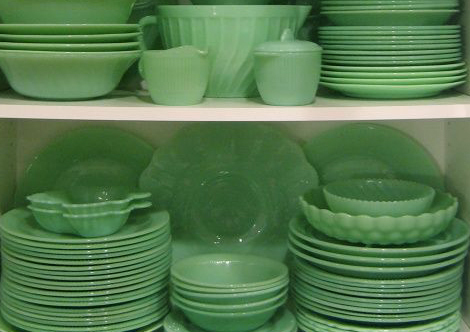 Knickknacks from every decade up until the 1960's congregated in her rooms until the day came when the shelves no longer held any space. Her rotary phone would spin around with a soft tat tat tat as she would call a friend. I would finish my homework and watch Leave It to Beaver after turning through the channels with a loud clack clack clack on her monolithic TV. For 30 minutes, I could experience an idealized Golden Era American family in black-and-white pixels after eating peanut butter on saltine crackers. 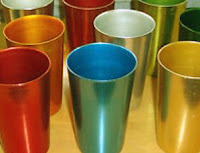 She would make me iced tea on hot days in 1950's aluminum cups and hot chocolate on cold days from 1920's Fiestaware cups. 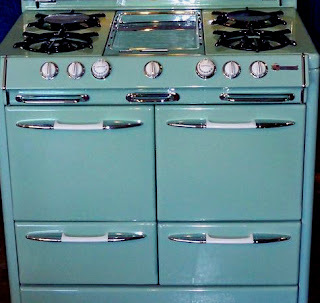 As a child, it felt as if all of space and time of the 20th century came together in her post-war house, where I would sit at the breakfast bar of her retro kitchen, and on a gold-speckled, Atomic-Age laminate counter top I would eat a bowl of her Depression-Era stew, and feel full, and loved. 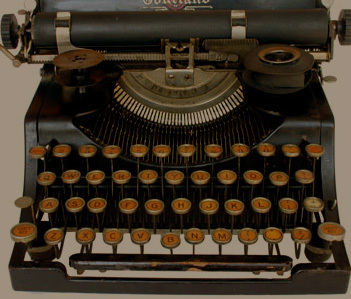 And when I sat there, next to her piles of letters and Christmas cards, I was connected to all of the decades, and to the people who had lived in those decades, and to their sorrows and joys. She had a faraway, foreboding look in her eyes when tornadoes ripped across the land. That same look reappeared when she spoke of the dust storms that had devastated Midwest farms in the 1930's. When the sky would go dark and the twisters would touch down, we would hide in the closet in the middle of the house. May 27, 1982, was one of those days. 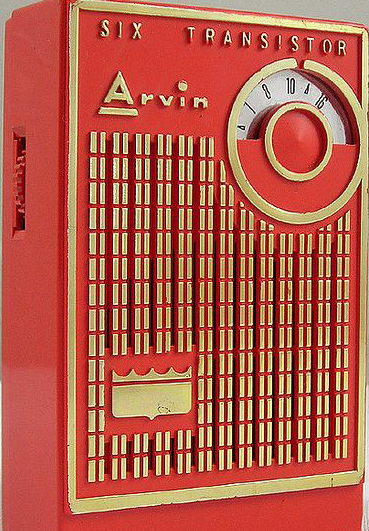 The red, handheld transistor radio in her shaking hands gave us the news that twin tornadoes were ripping through our small town. Her quiet strength sustained us because she had survived things like this before and could survive it all again. 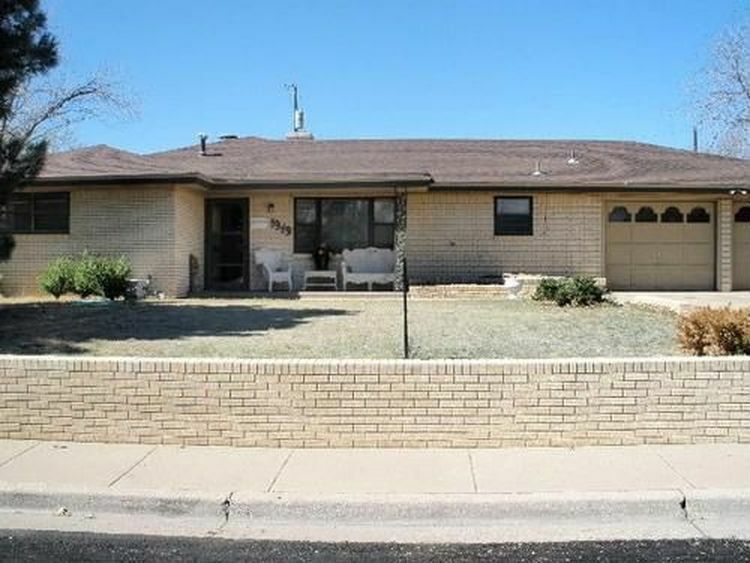 She and most of her friends lived in Texas-style ranch houses. And always above them was the pure blue New Mexico sky, the desert sun, and the brightest pink sunsets in the evenings. I would walk the blond brick edging of her front yard like a tight rope. 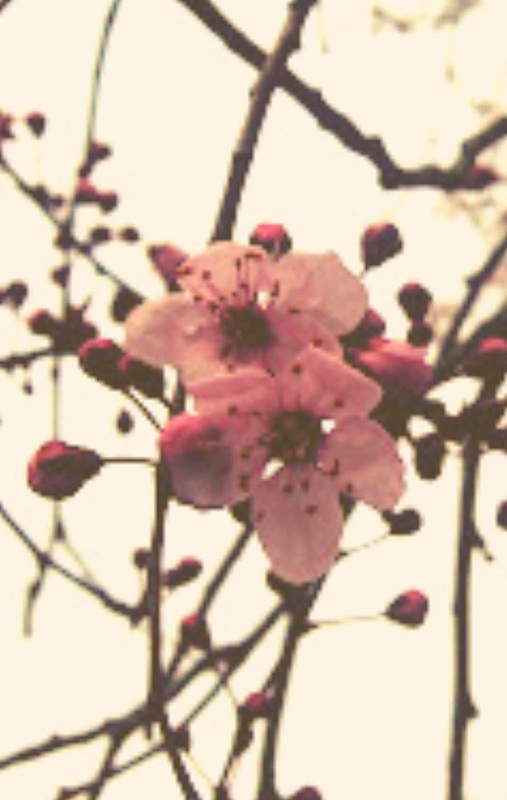 Tiny pink blossoms would emerge on her trees as the grass would tenaciously turn back to green after a long winter. That town had gone through many phases of boom and bust long before I ever got there, and continued in this pattern long after I left there all those decades ago. Twenty-somethings now put sub-woofers in their houses where old Victrolas used to sit, and what the younger generations do not know - but that they will soon come to know - is that there is nothing new under the sun. 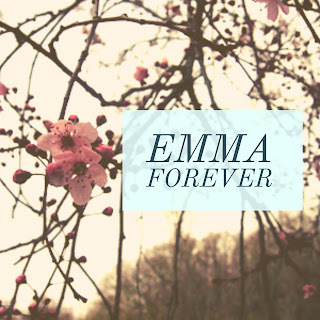 Emma's life was beautifully ascetic. For her, every season was Lent. She was quick to give away a meal she was about to eat if someone else needed it, like the selfless heroes Steinbeck wrote of who had once lived in Hoovervilles. pink and blue monuments to a delayed American dream. 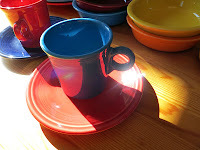 Some mornings, we would pop over to a friend's house and put sugar cubes in melamine cups to the comforting bubbly sound of a percolating coffee pot as we'd chat at their kitchen tables. Some days at lunch time, we would take them hot dogs and fries with root beer or fried chicken and mashed potatoes with cream soda. Some afternoons, Emma sat at their bedsides to comfort them in their final days as I would thumb through sets of Little Golden Books that had once belonged to their children or grandchildren, or I would play on their rusty backyard swing sets next to patches of dirt that had once been victory gardens. She had so many friends, many of them a decade or so older than her, and so many of them were dying. Some of their deaths were peaceful, as if they were looking back on their lives and the love they had given and were satisfied. You could see in their eyes they were looking past the horizon, to the other side, as they began to ascend from this world. They were reflecting on the grace of the story of their lives, and seemed to be moving miraculously beyond whatever scars life had left on them. 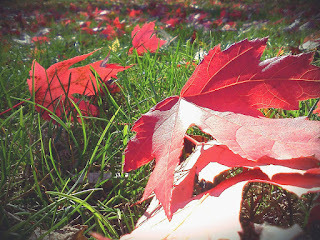 As days passed, even as their breaths became more shallow, their joy became more deep. Sometimes they would look at my young face with this radiant love, telling me I was the hope of the future. Sometimes they would give my hand a gentle squeeze as if to physically pass on some encrypted ancient wisdom for humanity to carry on. They knew, as I did, that I was deeply fortunate to stand in their holy space as they began the journey from this life to the next. And some of her dying friends would hint that I should not have come along to visit...that I had no understanding of their suffering. Some of them looked at me, as we would walk into the painful space of where they were struggling to exit this world like I had no right to be there. And maybe I didn't. What did I know of the factories they had worked in as children, or the poor houses they had lived in as teenagers, or the soup lines they had stood in as adults, even after surviving the Great War? Sometimes, as Emma took care of them, I was asked to leave the room for a while, and though it was not easy for her to do, she would hear their final confessions. 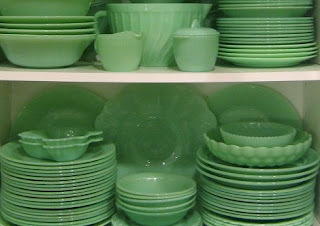 I would go from looking at the amber plastic prescription bottles on the TV trays in their bedrooms, to the 1940's green jadeite dishes on the shelves of their living rooms. Some of the deaths of Emma's friends were not peaceful. They were angry, even bitter, and in a place of palpable loneliness that maybe they had created for themselves, or maybe because most everyone they loved was already gone. Sometimes their curtains were closed tightly even while sunlight waited disheartened by their window. They would be shivering with cold though the intense heat of summer was hanging in the street. It was hard to understand with my child-mind why they were like this, but life eventually takes us all to the edges of despondency at one time or another so that it is hard to let any light into the room at all. In those days, I quietly learned the significance of letting go of hate, because seeing hate in a dying person's eyes, the kind they were completely unwilling to let go of, may be the worst thing I'd ever seen. It was a fiercely beautiful and and intensely ugly experience to watch all these people in their final days. As a young elementary school child, I watched the Lost Generation die. Sometimes, we would stop by someone's house and we would find her dying friends watching game shows. I remember her saying that when you are dying, it may be time to turn the TV off. As a nine year old, game shows became synonymous in my mind with a reckless diversion - getting to the end of our time on earth and avoiding the unfinished business of our lives. To this day, when a game show is on, I get this intense anxiety that I am neglecting the inner work of my soul. While it could seem morbid or unhealthy that I was exposed to so much death at such a young age, it was a profound gift. It made me realize that each person around us is precious and temporary, that we should use every ounce of our energy to serve others and every resource we have to help one another as well. As a child, she taught me the greatest lesson ever: how to live in the right way so that I may someday die in the right way. When I would stay at her house over the weekend, she took me to the First Christian Church. 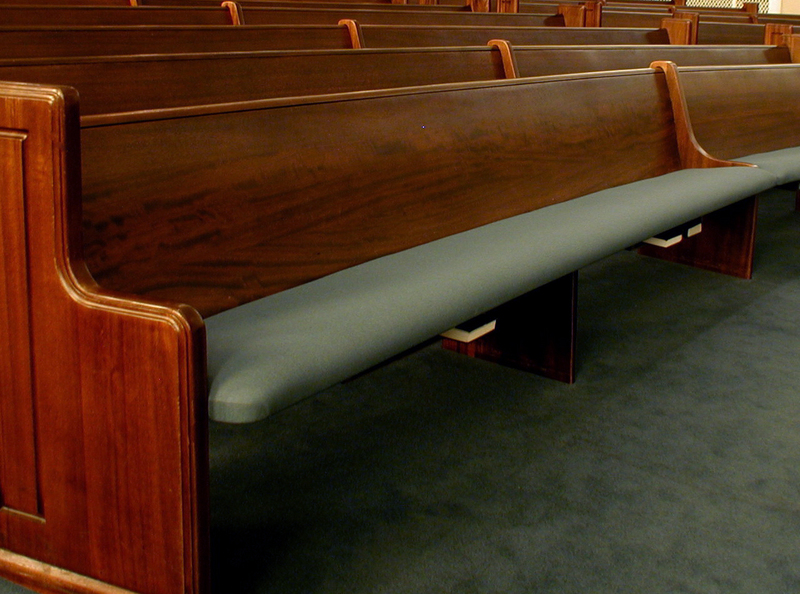 We would sit on the back row together, and open the hymnals, her sweet voice wavering from age as it soared across the songs that had steadied generations who needed hope. Those hymns, as she sang them, made me understand the way one faltering generation passes on their faith to another. After a few short years in a desert county, the early 80's oil boom was over, and we were leaving town along with most everyone else. I did not know when I hugged her goodbye that it would be our last embrace, I only knew that it hurt me fiercely to leave her behind. But she had seen the Dust Bowl and the desert, and everything in between. She was a survivor because she was from a lost generation. I wrote Emma a letter many years later to tell her that her selflessness had stayed with me and that she'd inadvertently had an enormous impact on the person I became and the faith I had. She was, and still is, from my perspective, a saint. If we can have just one person like this in our lives during our formative years, it can sustain us through a lifetime. She was a true embodiment of the Lost Generation, and because of the enormous amount of time she and her friends spent with me in my most formative years, I can say that I was, to a large extent, raised by the Lost Generation. Sweetest Emma, you were an example of profound compassion, a light in my darkness. I will stand beside you again, on some back row, where we sing to God with voices no longer fragile and wavering, but with voices that are eternal. Some from your generation died with regrets, yet you died knowing you gave every moment you could to others. Your embrace made an enormous hole in my heart disappear, even if just for a moment in time. (c) 2017 by Chloe Koffas. All rights reserved. 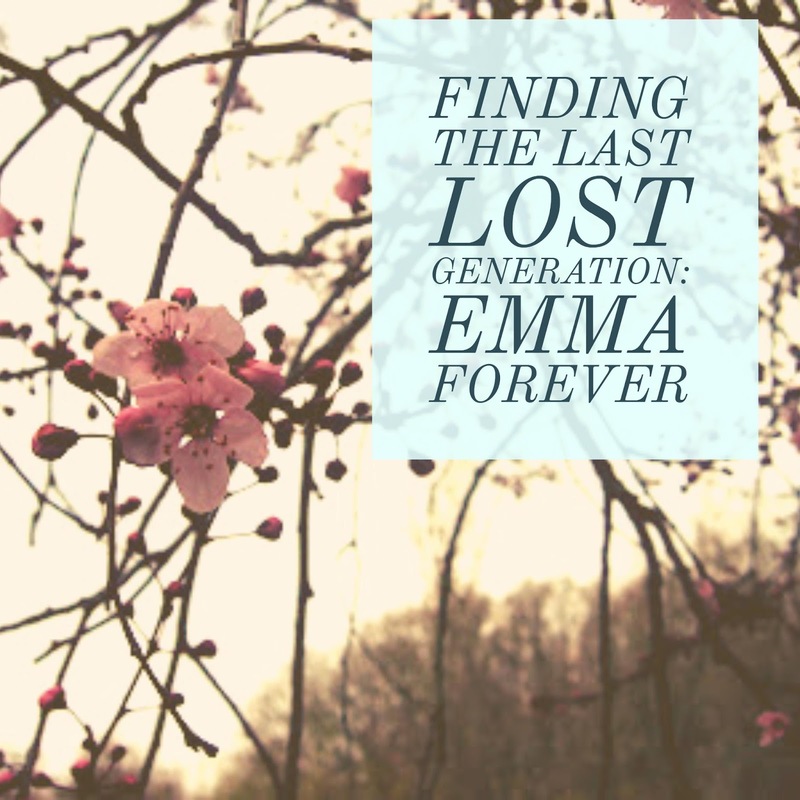 As of this writing, there is only one known person still alive from the last Lost Generation whose name is also Emma and she was born as the trees dropped gold and red leaves in the autumn of 1899. 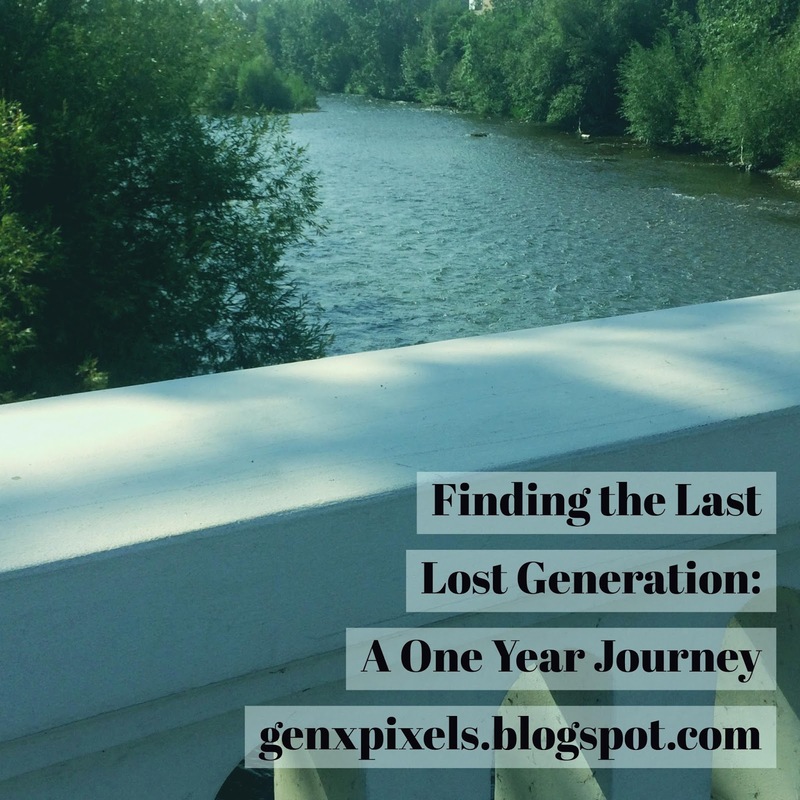 In my quest to reach back to the last Lost Generation (those who would've been roughly the age that Generation X is now, a century ago) I am looking back to see what advice, hope, or wisdom they left for us. An essential voice from among that generation was Langston Hughes. Not only was he part of the Harlem Renaissance, he was a contributor to classic literature that has since been read and studied by multiple generations. My favorite people have this way of balancing wit and the heaviness of life with grace. Through my growing-up years, pieces of Langston Hughes' poetry would pop up in the literature classes I took. For weeks afterwards, his message would resonate in my mind. With each piece, he would would open my eyes more and more to the suffering endured by African Americans. More recently, I made my way through the perceptive and unshakable poetry he wrote through the earlier decades of the 20th century. Hughes' words and stories, like his ancestral heritage, covered a wide range of American geography and beyond. He wrote of the stress and frustration of the people in crowded cities struggling to pay their rent and of the pain and isolation of people in small rural towns, tired from working the land. In my first experience of the Mississippi River as a nine-year-old, I stood in awe of the potent water as I floated across it on a ferry. It was powerful and magnificent, and I could feel the history of it emanating all around me: an intense sorrow and a thousand untold stories lifting from it, mixing with the heavy summer humidity. 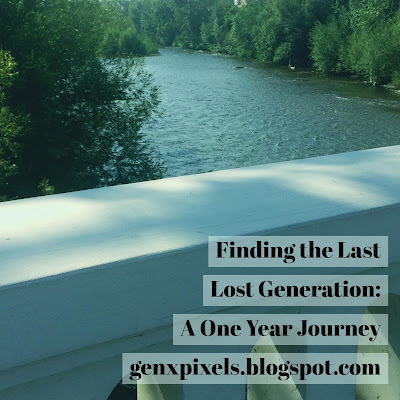 I felt something similar as a college student the first time I saw the Kansas River from the window of a plane as it wound through the frozen winter circles and squares of farmland, like the patches on a threadbare quilt. Not so long after that, I saw Lawrence, Kansas for the first time where Langston Hughes spent most of his childhood and walked the same streets that my paternal grandfather from the GI Generation had walked during his days as a professor at the University of Kansas. How strange it is to walk where someone walked that you feel you know on some level, yet their life ended before yours began. Sometimes it seems that we can get a glimpse (or maybe some fleeting electrical impulse) of the connection we have to those people by walking where they walked, by opening the door of some small shop on some busy street, hoping their hand once touched the same door handle. Of antiquated doors that I pulled open to small shops or buildings around the university - on Massachusetts Street, or Tennessee Street, or Kentucky Street in Lawrence, Kansas, I can only hope that my grandfather, or that Langston, opened one of those same doors. When a generation, a Lost Generation in particular, who grows up and lives most of their life in a time of Crisis, what we can do is to take what wisdom we have gained from our suffering and to use it to make the world more just, with our stories, with our voices. Hughes wanted an America where everyone is free and equal, and his words are just as relevant today as they were when he wrote them. His writing is one of the reasons that we see classic literature as necessary to culture - it is a way to remind of us of what wrongs we are likely to fall back into as a society if we are not vigilant. In fact, many of the things that were wrong with society when he wrote his words are still wrong. Hughes stressed racial consciousness in his writing and that message is just as needed now as it was a century ago. It sometimes seems that when you stand by a river, you can feel, even if just for a moment, everyone who has stood there at that same place before you. I know it's true of the Kansas River and of the Mississippi, I imagine it is true of the Euphrates and the Nile. It is the experience of standing quietly, intently, by rivers, and in searching for the wisdom of previous generations that our souls can grow deeper. Let your soul grow deep.